Obituary for Michael Loland Barker | Swan Valley Funeral Services Ltd.
On April 2, 2019 Mr. Michael (Mannie) Barker of Red Deer Lake, Manitoba, formerly of Mafeking, Manitoba passed away at the age of 57 years. Mannie is survived by his loving wife Juliann Hather Barker and four children, Michael Barker Jr. (Brooke Metcalfe) of Swan River, Manitoba, Matthew Barker (Jacqueline Ferland) of Tisdale, Saskatchewan, Marty Barker of Tisdale, and Kortney Barker of Dauphin, Manitoba, as well as many grandchildren, nieces, nephews and one godson. Mannie is also survived by three brothers and two sisters, Clifford Barker of Baden, Louise (Jim) Wood of Baden, Lucy Barker of Swan River, Gilbert Barker of Sapotaweyak, Manitoba and Wilfred Quill of Greenwater, Saskatchewan. He is predeceased by his parents Gus Genaille and Gertrude Barker, siblings Nelson Genaille and Beatrice Barker, step daughter Karla Barker, sister in laws Lorraine Barker and Florence Barker. Mannie was born on July 30, 1961 in Swan River to Gertrude Barker and Gus Genaille. During his life he had worked many jobs such as disassembling the railroad from Barrows to the Saskatchewan and Alberta borders, piling ties for CanDo Construction, emergency fire fighting and operating a skidder for Bell River Logging for 19 years. His boss once said, "Mannie is one of the best skidder men we have ever had but don’t tell him because it’ll go to his head”. 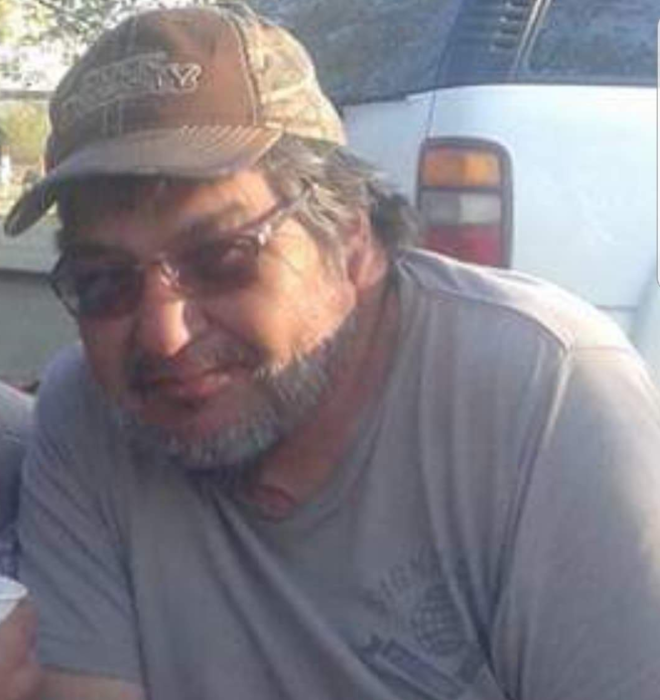 He also enjoyed hunting with his sons and fishing with his grandchildren at Red Deer Lake. Mannie loved his vehicles; he always had a nice truck which he would use to drive around and visit all his family and friends. He always had a great sense of humour and enjoyed telling jokes and making people laugh. He was always there to listen, give advise, help his family and friends whenever needed and he was never scared to speak his mind and tell you like it is, He was a great friend and father figure to many, especially his babies Kaydence Hather Ferland and Tory Cook, he loved his grandbabies so much and enjoyed spending time with them and teasing them but he sure didn’t like it if anyone else picked on his babies. Mannie was a huge part of everyone’s life, and he will be greatly missed by all his loved ones, but we will cherish all the great memories he left behind. A wake was held from the Barrows Community Hall, Barrows, MB on Tuesday, April 9, 2019 at 4:00 pm. The funeral service was held from the Barrows Community Hall, Barrows, MB on Wednesday, April 10, 2019 at 1:00 pm with Father Norberto Monton officiating. Interment took place in the Whispering Pines Cemetery. Should friends so desire, donations in Michael’s memory may be made to CancerCare Manitoba.